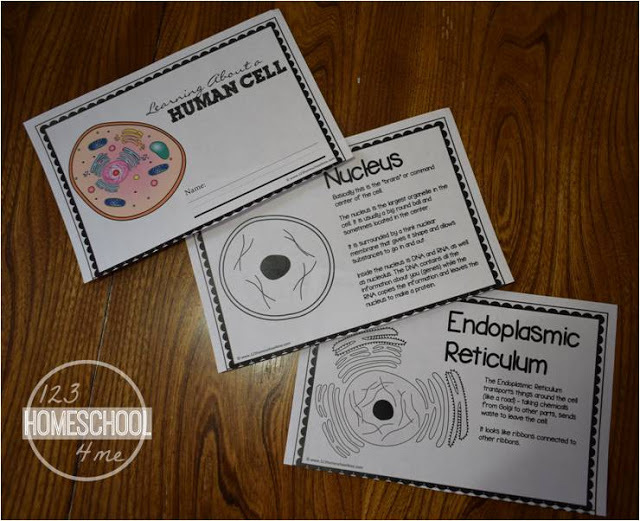 Make learning about human cells fun and memorable with these cell worksheets, review game, DIY cell model, edible dna, and more! As we began studying the human body we learned about the most basic unit of life – cells! 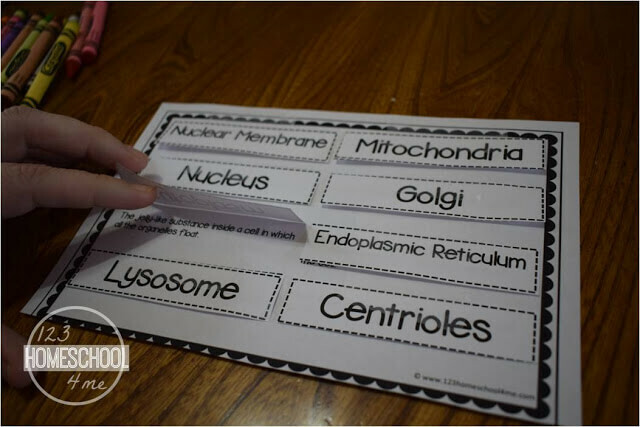 We used the following free printable cells book to learn about the parts of the cell and their function as well as review what we learned. The kids created their own edible cell to reinforce what they had learned. 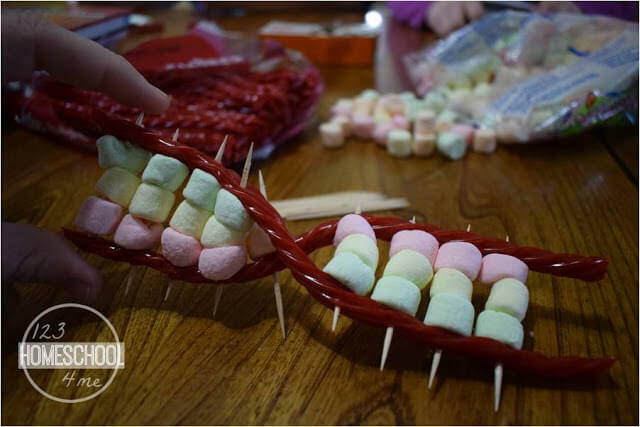 We made edible licorice DNA as we touched on the fact that the nucleus of each living cell contains DNA – the instructions for what each cell should look like and do. Below you can download our FREE human cells book for your kids to learn about the different parts in a human cell and what they do. LOW PREP! Simple print, cut in half, and staple together! Also included in the book are two review pages at the end of the human cells book. The first allows children to cut and tape flaps to make a fun review for what each part of the human cell does. 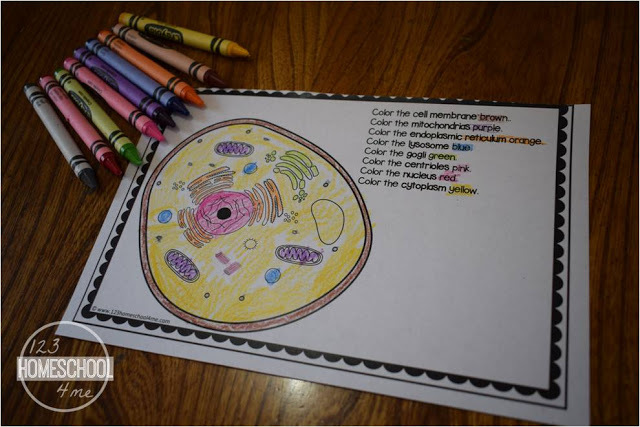 The second review page allows children to test their knowledge on what each part of the cell is called by coloring in the cell according to the directions. This project has been around the block for a while, but it is equally fun to make! We will learn more about DNA in the coming weeks, but I wanted to at least help them connect where DNA was from (nucleus) and that it contained all the information as to what the cells should look like and do. 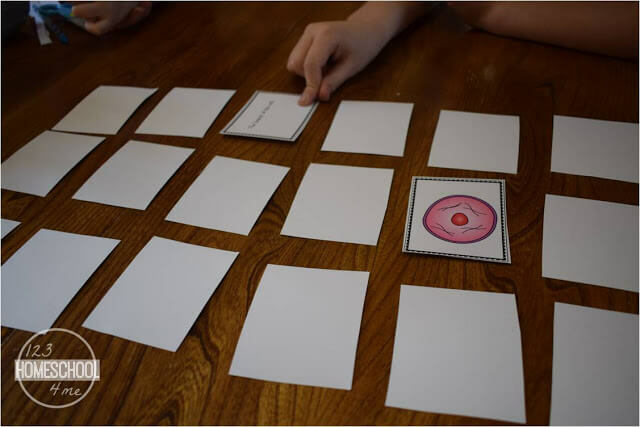 We played this fun and easy to play human cells review game to practice and review what we had learned – the name of the various parts of the cell, what they look like, and their function. Basically print on cardstock, cut cards apart. Then play like memory where kids need to match the name and function of each cell part. Make it harder by matching name, function, and picture if you like or just have kids put them together if you don’t have time for the game. Thank you! I needed help with teaching the cells to make it more fun and hands-on. You’re free worksheets are awesome.